Jalandhar: Despite routine demand over the years to make documents related to attack on Darbar Sahib complex public, the Union cabinet secretariat, home ministry and defence ministry maintained they had no record on whether the military action was decided orally or by a written word. Moreover, they had no record to show who gave the orders – then Prime Minister Indira Gandhi, the Union cabinet, Amritsar deputy commissioner or the President. In response to an application filed under the RTI Act with the Prime Minister’s Office (PMO) by a Kapurthala resident and former bank officer-turned-author Baldev Singh, the cabinet secretariat, MHA and MoD in November 2013, said they had no record on this. 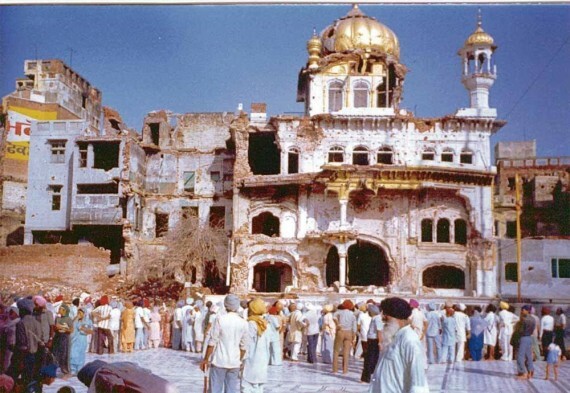 Baldev Singh had sent an application under RTI Act to PMO on October 17, 2013, asking whether the decision to order an attack on Darbar Sahib complex in June 1984 was oral or written; was it a decision made by the Union cabinet, PM Indira Gandhi, or President Giani Zail Singh. He also sought a copy of any such written order. The PMO transferred the application to MoD, cabinet secretariat and MHA to which all three replied in November 2013. In their responses, the central public information officers (CPIOs) said the application was transferred to them by the PMO. “The information so far as the undersigned CPIO is concerned may be treated as ‘nil’,” said the reply from MoD on November 18, 2013, sent to CPIO (integrated headquarters), Sena Bhawan, New Delhi. A copy of the reply was sent to the applicant. “So far as the cabinet secretariat is concerned, it is informed that there are no records available in this secretariat,” read the reply by then CPIO S K Valithan of the cabinet secretariat on November 19, 2013. The MHA reply was also on similar lines. *Note: Above contend was origanally published by Times of India under title ”Who ordered Operation Bluestar? 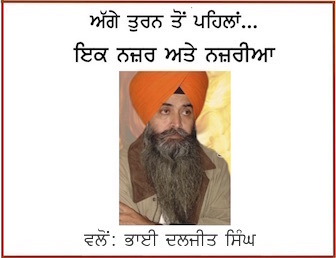 Ministries are silent” by IP Singh at source url http://timesofindia.indiatimes.com/india/who-ordered-operation-bluestar-ministries-are-silent/articleshow/59011989.cms . It is reproduced as above, with minor adaptations, for the information of readers of Sikh Siyasat News (SSN).